Although German and Austrian civilians living and working in Great Britain may have regarded themselves as integrated and acculturated to Britain by the outbreak of the Great War, much of British public opinion, driven by a Germanophobic press, did not share this view. Civilians of enemy nationality were treated as the “enemy within” and large numbers became detainees on grounds of national security. The main waves of internment, in October 1914 and May 1915, coincided with outbreaks of anti-foreigner violence in many British towns and cities, during which German owned property was looted and destroyed. In some cases Germans and Austrians were arrested for their own personal safety, although the official line was that the measures had been undertaken to safeguard the nation against internal spies. In the midst of widespread anti-German feeling in the spring of 1915, following the sinking of the passenger liner Lusitania by a German submarine off the coast of Ireland, the British coalition government introduced a policy of wholesale civilian internment on 13 May, which would affect all adult male enemy aliens between the ages of seventeen to fifty-five and would remain in force until 1919. The first civilian internees arrived at Stobs on 2 November 1914. 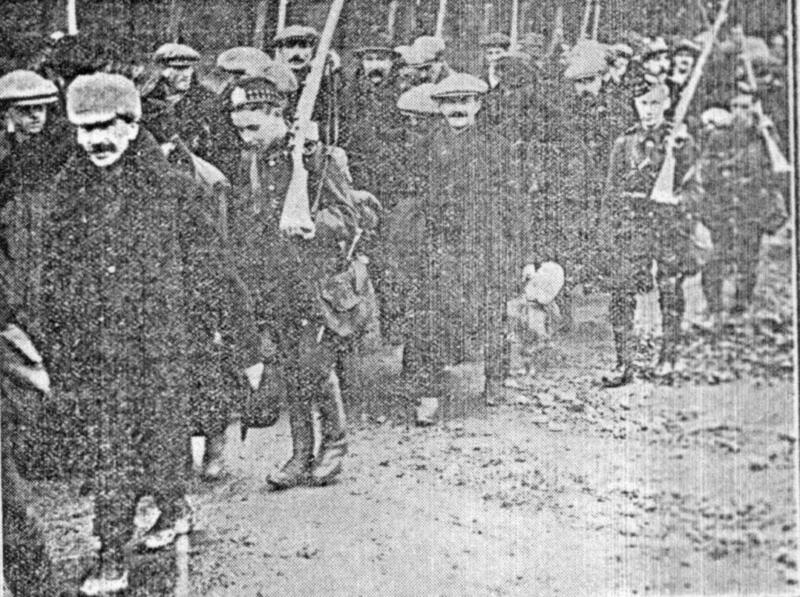 Civilian internees arriving at Stobs Station in November, 1914. 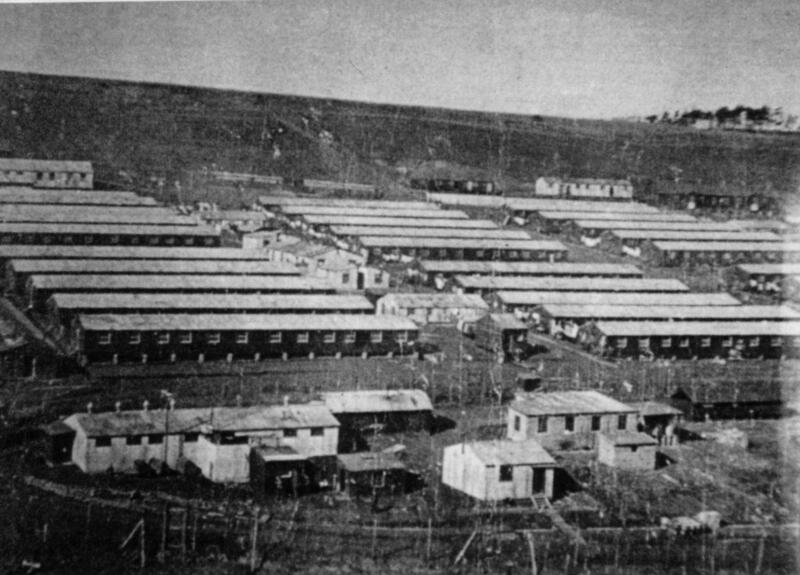 Until new huts were built the prisoners were to be accommodated in the fewer than a dozen huts, part of the original Army camp, near Barnes.